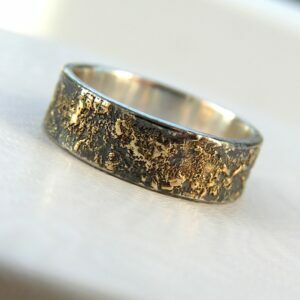 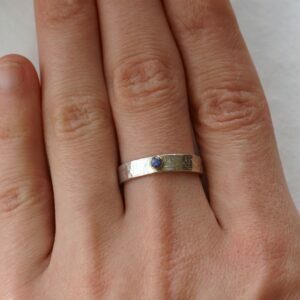 Sterling silver and 18k gold unique engagement ring or gemstone wedding band. 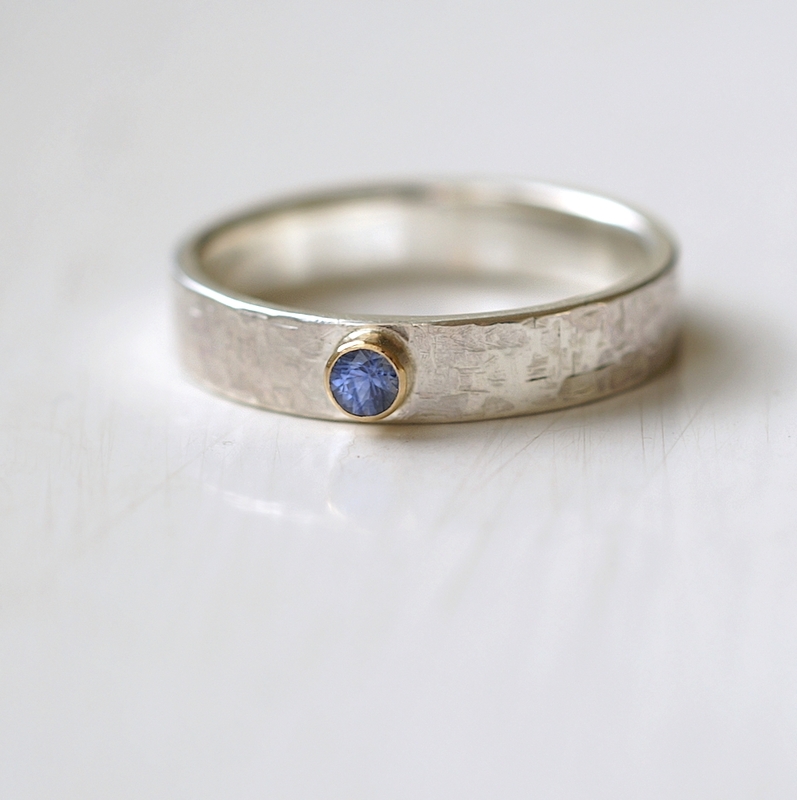 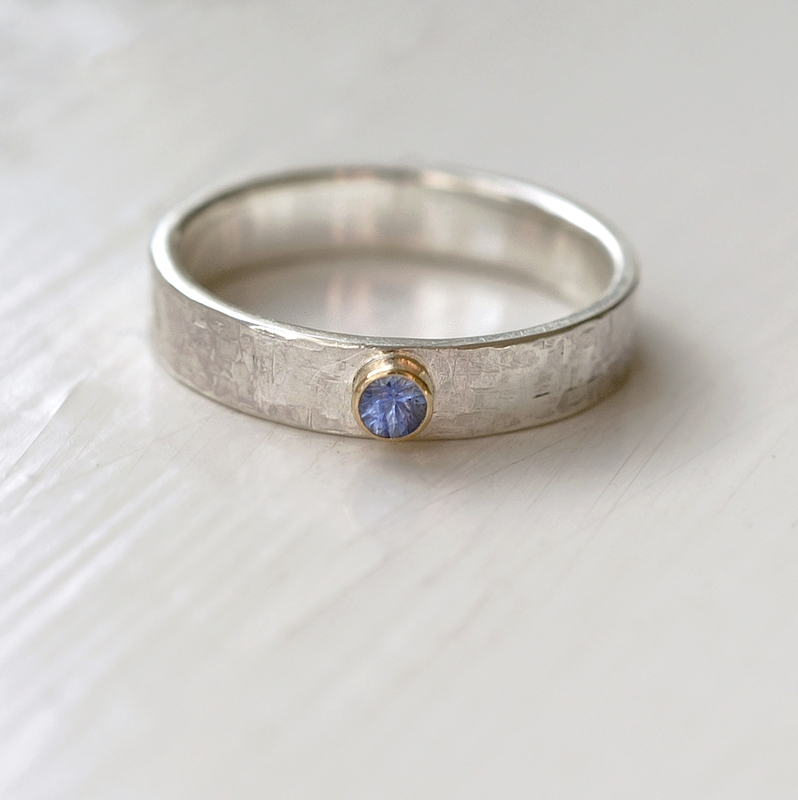 Adorned with natural blue sapphire from Sri Lanka. 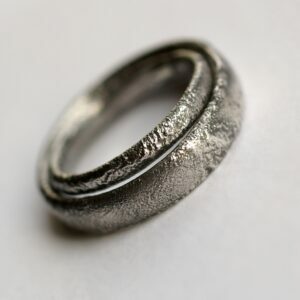 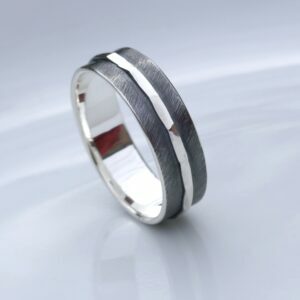 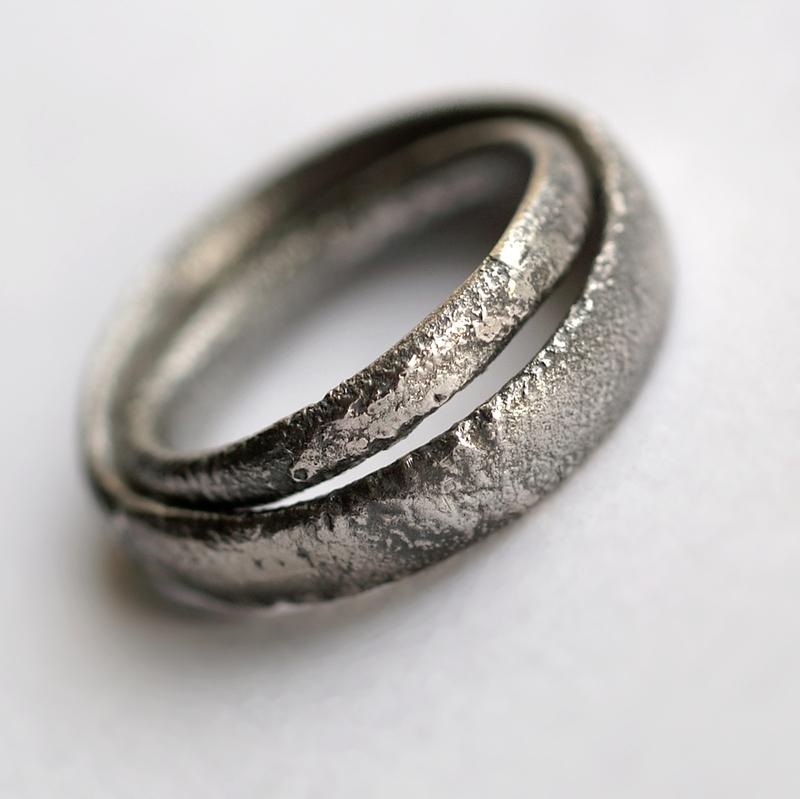 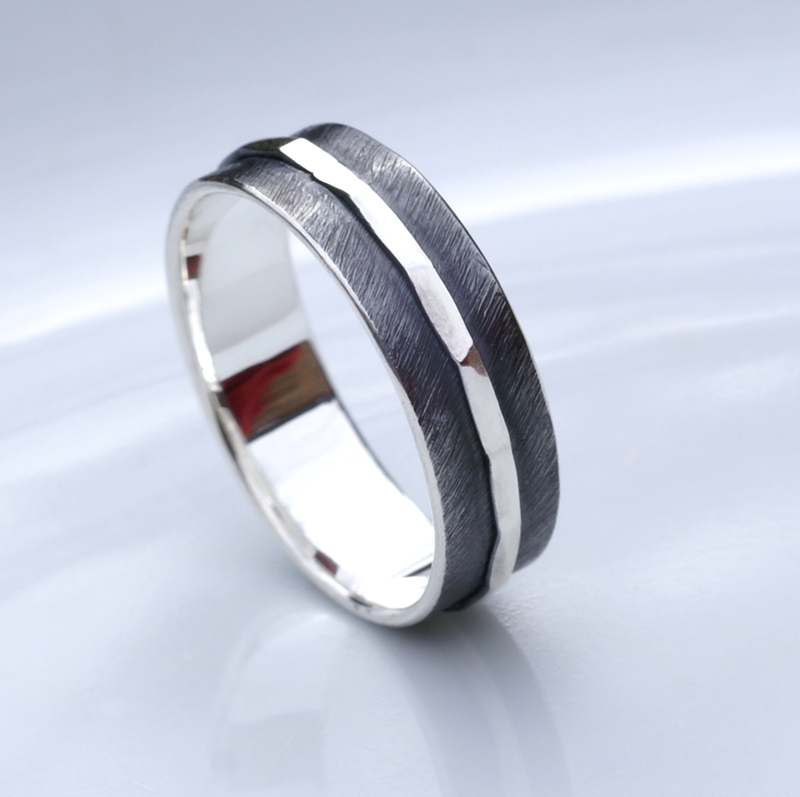 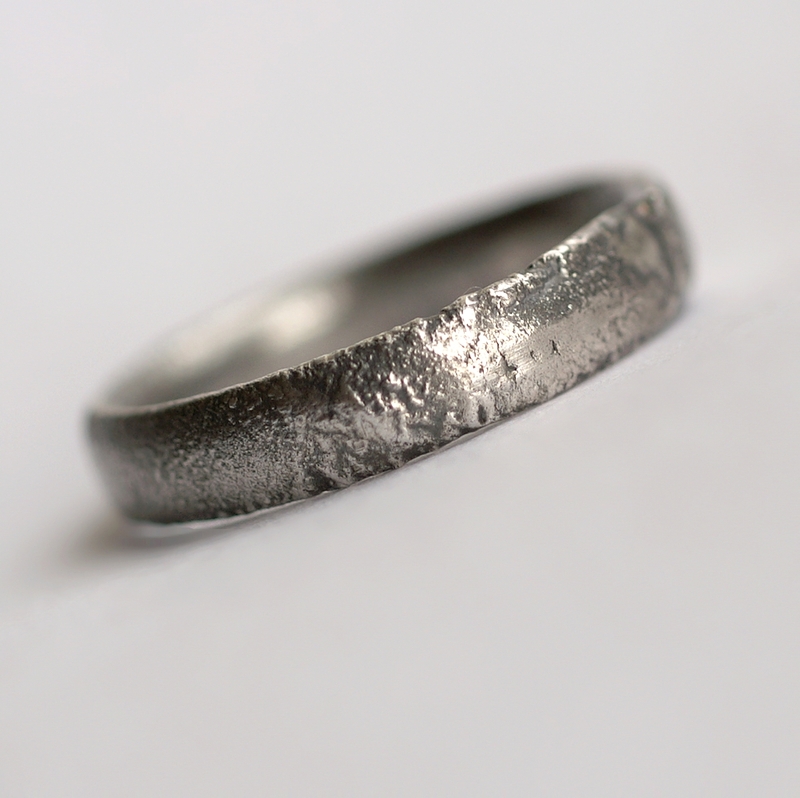 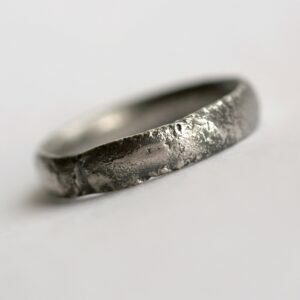 Sterling silver band is hammered with my texturing hammer (the texture is unique to items made with this hammer, which means my jewellery only). 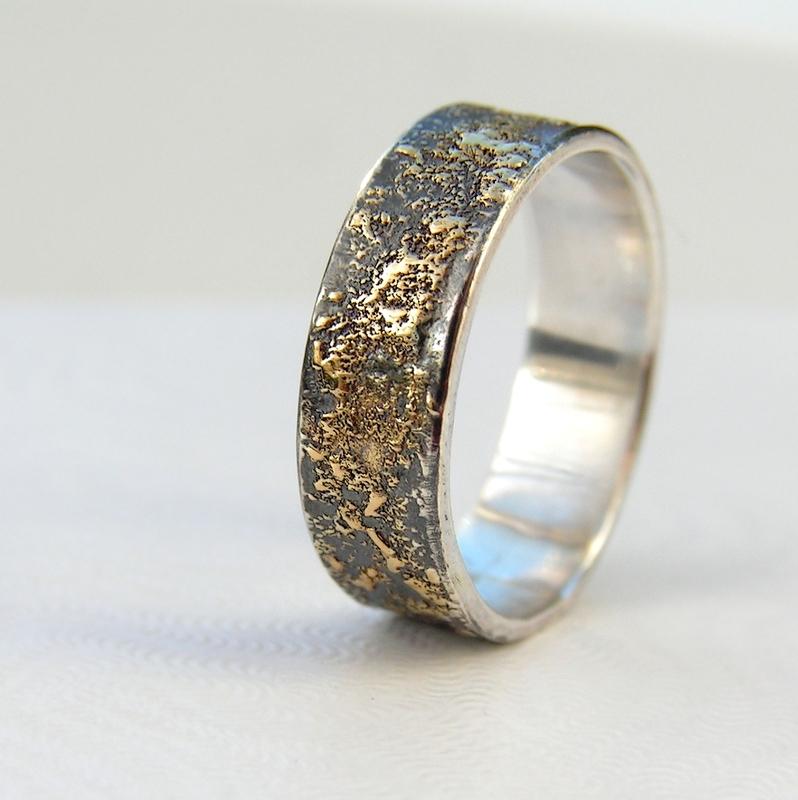 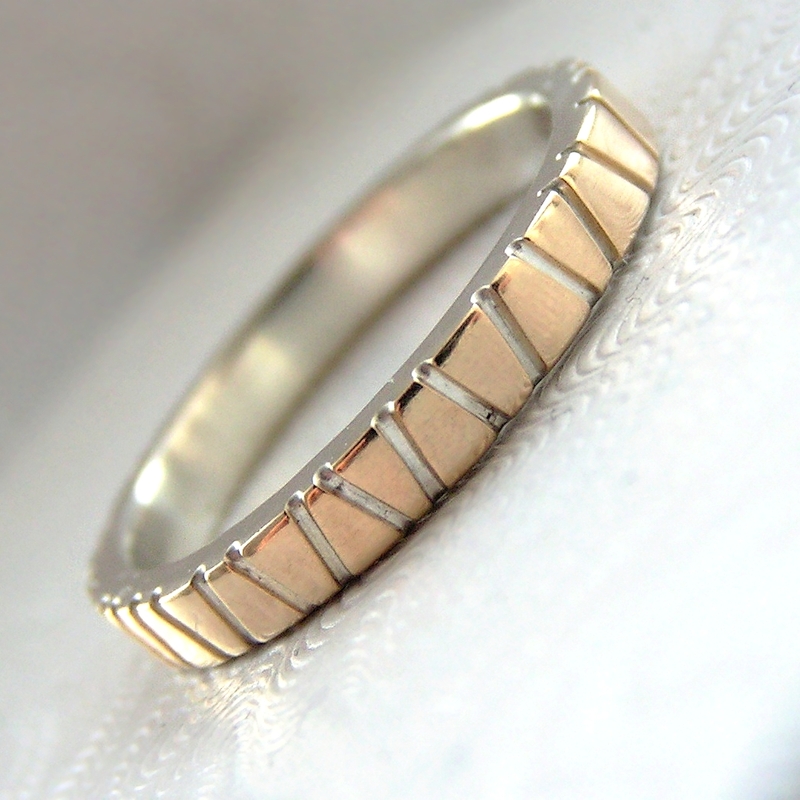 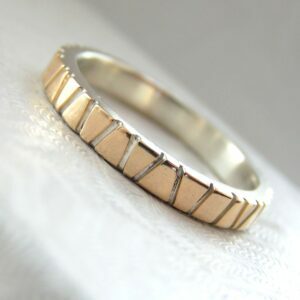 The stone is set in simple round 18k yellow gold bezel. 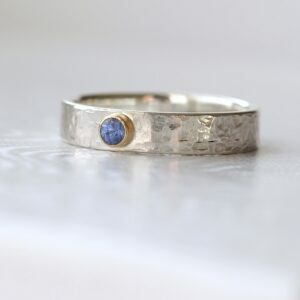 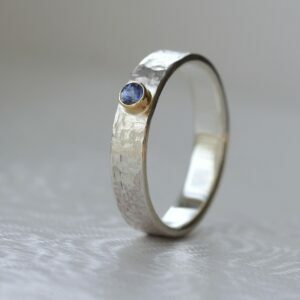 I can make similar ring with different sapphire (better or lower quality, darker or lighter) or different stone.